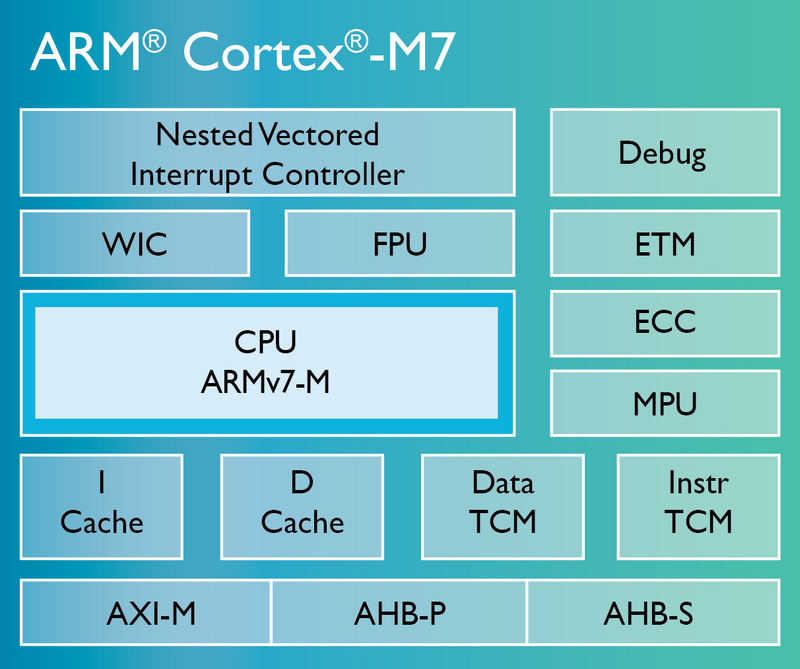 ARM Holdings Inc., (NASDAQ: ARMH) a British multinational semiconductor and software design company based in Cambridge, England, unveiled its new processor architecture called the Cortex M7 on Tuesday. Unlike complex smartphones, the main focus of the company is now on Home Appliances and Cars, since they are commonly loaded with stuff like touchscreen displays, detailed controls and Internet connectivity. The devices like robots, smart appliances and wearable’s need more computing power in order to become more sophisticated, which the company is planning to provide with the new M7. It is having twice the processing power and ability to execute twice as many instructions simultaneously than its predecessor, M4. The chip also has applications in medical devices, networking and storage devices. Nandan Nayampally, vice-president (marketing), ARM said, “The faster and power-efficient M7 will allow device makers to pack more functionality and features into products.” Nayampally continued, “The response time and management of motor control needs a certain speed, especially for moving devices and targets.” That means ovens with better voice-recognition when you speak to them, drones with tighter flight control, tiny sensor networks in walls sensing damp early, and what not! The chip is customizable according to the manufacturer. They can set the clock speed, enable and disable various features according to their will. The M7 has a six-stage superscalar pipeline, with branch prediction, compared to the M4’s three-stage, and runs the usual 32-bit ARMv7 instruction set and DSP library and a single and double precision FPU. The M7 aims at real-time determination with tightly coupled memories and a 12-cycle interrupt latency. Two cores can also be used in lock step running the same code, one following two cycles behind the other so that glitches can be detected if the two CPUs sudden behave slightly different from each other. “When the intelligence is in the endpoint, you always get on and always aware,” said Nayampally. Atmel, Freescale and ST Microelectronics have already snapped up licenses to pump out chips with M7 cores in the 90nm to 40nm process range with each core taking up a 0.1mm square of silicon. And we can expect to see the Cortex-M7 architecture in consumer’s hands (or homes or cars maybe) by 2015. How is this future proof?